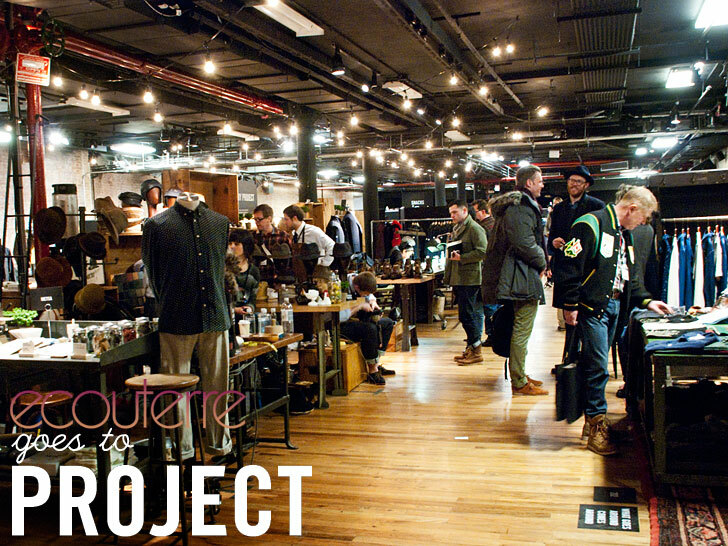 <p /> <small>Photos by <a href="http://www.amandacoen.com">Amanda Coen</a> for Ecouterre</small> <p /> If the huddle of artisans making product on the showroom floor didn't clue you in the first time, <a href="http://project.magiconline.com/project-new-york/">Project</a> is an entirely different kind of trade show. 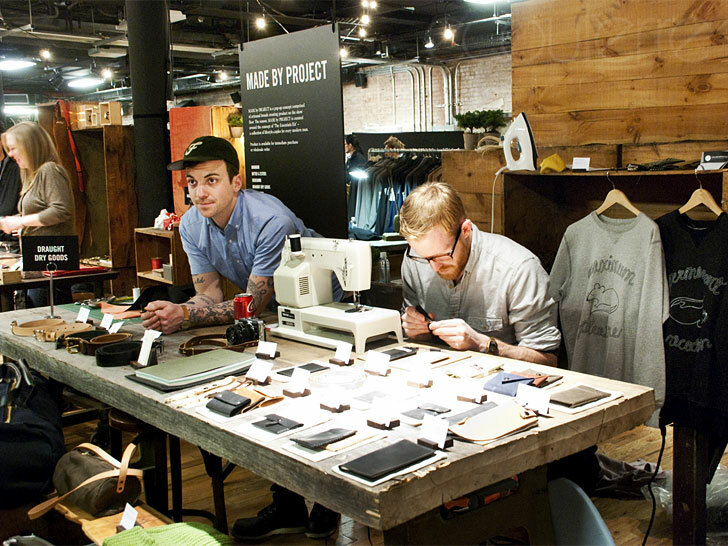 Its <a href="http://project.magiconline.com/madebyproject/">"Made by Project"</a> pop-up exhibit, which ends today in New York City, enlisted iconic and emerging heritage brands such as <a href="http://www.barbour.com/">Barbour</a>, <a href="http://greenfieldclothiers.com/">Martin Greenfield</a>, <a href="http://oakstreetbootmakers.com/">Oak Street Bootmakers</a>, <a href="http://victorosborne.com/">Victor Osborne</a>, <a href="http://dedegumo.com/">Dedegumo</a>, and <a href="http://metsadesign.com/">Metsa</a> to prove their mettle with live—yes, <em>live</em>—demonstrations of their handiwork. 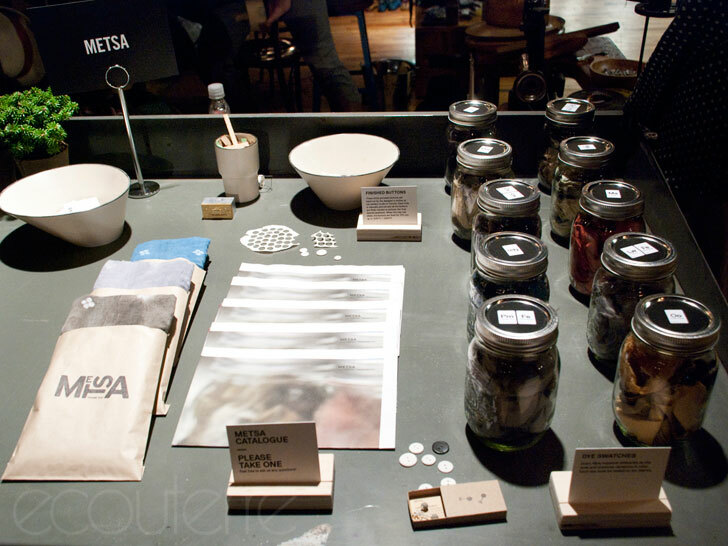 Ecouterre snuck behind the scenes for an up-close-and-personal look at the <a href="http://www.ecouterre.com/does-the-art-of-craft-and-handmade-matter-in-fashion">future of craftsmanship</a>. <h3>BARBOUR</h3> <a href="http://www.barbour.com/">Barbour</a> needs little introduction. Founded in South Shields, England, in1894, the fifth-generation family business is renowned internationally for its durable heritage outwear. 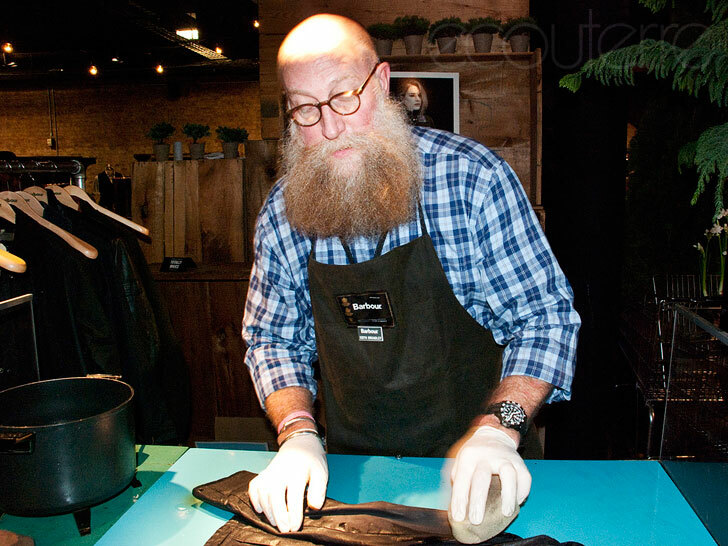 Onsite at Project, a Barbour representative re-waxed one of the brand's classic men's jackets with a blend of beeswax, ensuring it remains waterproof for years to come. 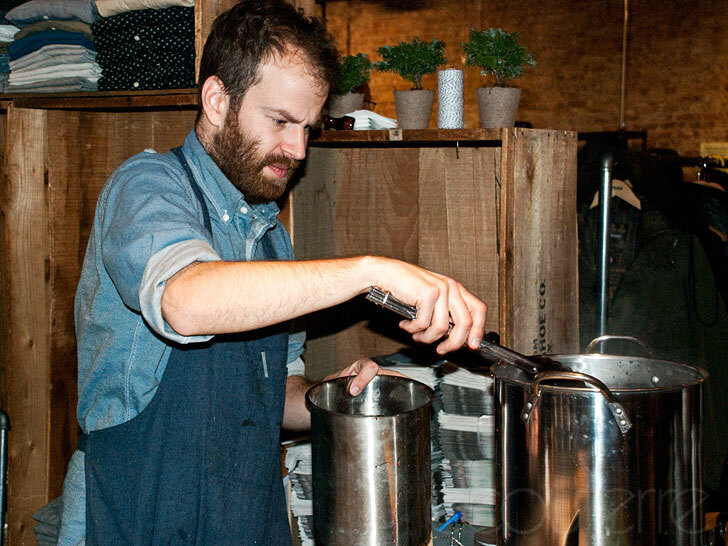 <h3>METSA</h3> We found Markus Uran, founder of <a href="http://metsadesign.com/">Metsa</a>, a Toronto-based line of menswear, hard at work concocting plant-based natural dyes for a limited-edition series of Project scarves. <p /> Although the palette Metsa uses is fairly muted, color is sometimes injected through the use of Indigo, pomegranate, and logwood. Color intensity and tone varies depending on pH levels and the material of the shirt. <p /> The brand's attention to detail is such that even buttons are given due consideration. Uran's mother, a ceramic artist, creates the fine white ceramic buttons by hand. 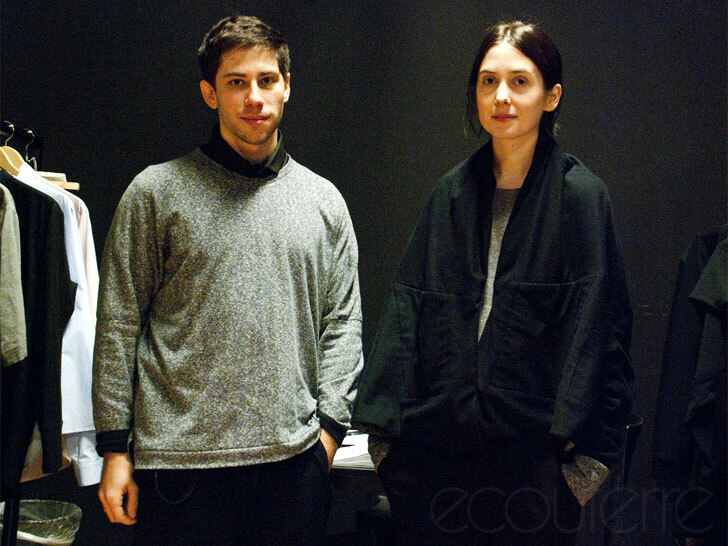 "Every item represents our belief that a piece’s value comes from its narrative; how it was made, who created it, why, and how it is worn," Uran tells Ecouterre. 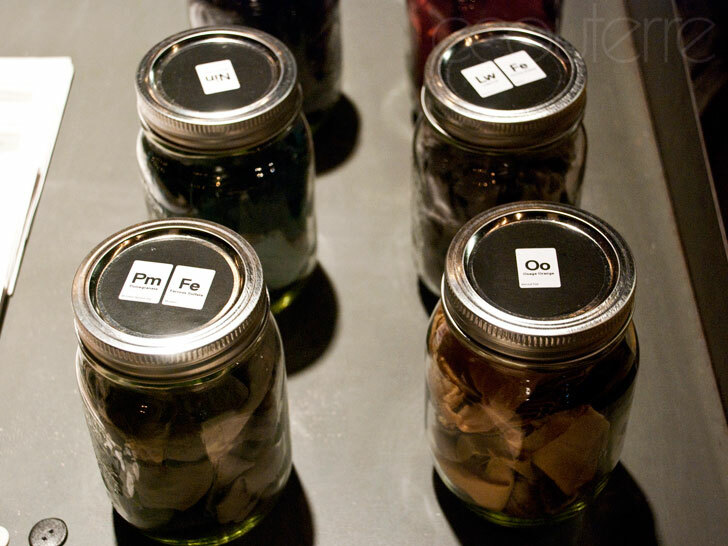 <p /> All of Metsa's pieces are drawn, cut, and sewn in-house or locally in Toronto. "Every item represents our belief that a piece’s value comes from its narrative; how it was made, who created it, why, and how it is worn," Uran adds. 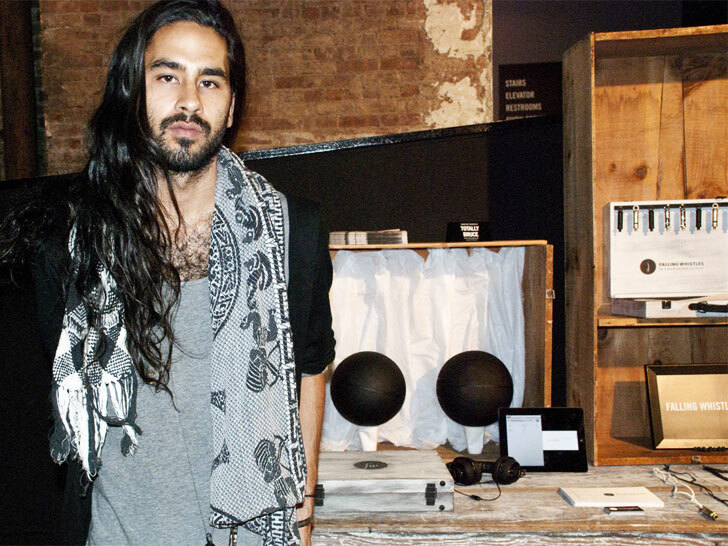 <h3>MARTIN GREENFIELD</h3> Representing Brooklyn was <a href="http://greenfieldclothiers.com/">Martin Greenfield</a>, a 30-year-old purveyor of hand-tailored clothing that has worked with cult brands such as <a href="http://www.rag-bone.com/">Rag & Bone</a> and <a href="http://www.bandofoutsiders.com/">Band of Outsiders</a>. 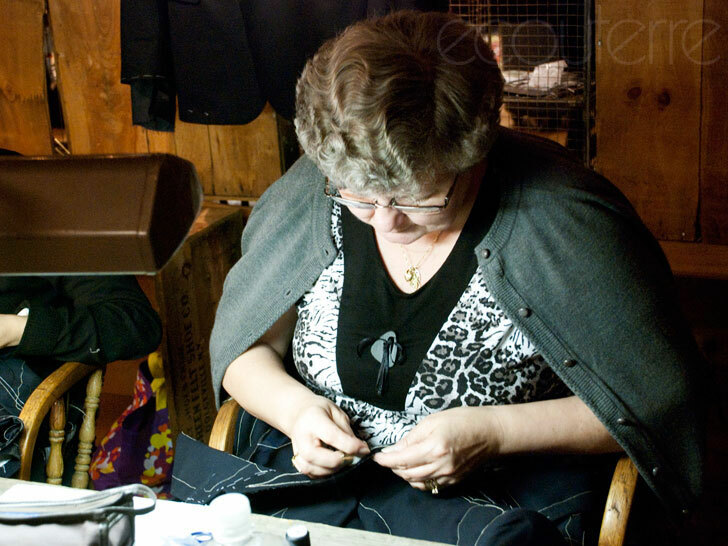 <p /> A pair of seamstresses were spotted hand-finishing several made-to-measure suits. <h3>DRAUGHT DRY GOODS</h3> The freshly launched <a href="http://draughtdrygoods.com/">Draught Dry Goods</a> hails from Portland, OR, where it endeavors to create "smart, beautiful things," including neckties, wallets, and sweatshirts, in a socially responsible manner. 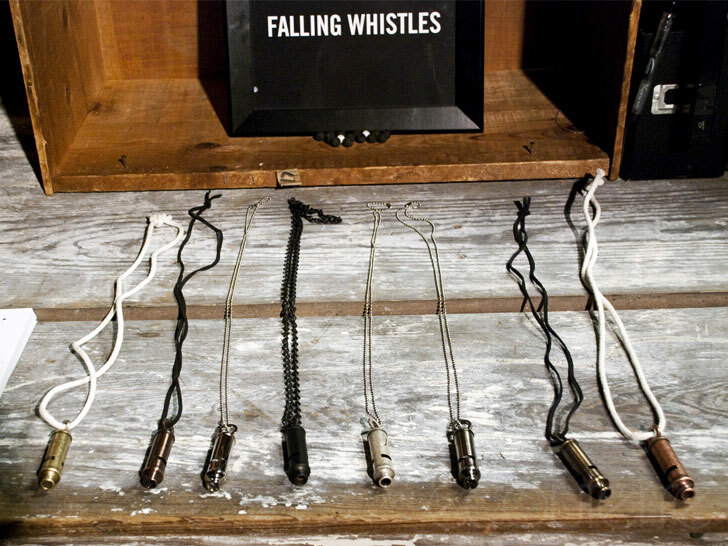 <h3>FALLING WHISTLES</h3> <a href="http://www.fallingwhistles.com">Falling Whistles</a> is a nonprofit that rehabilitates and advocates for children of war in the Democratic Republic of Congo. <p /> The symbolism behind the whistle is a haunting one. In the Congo, children are kidnapped every day and sent into battle, armed only with whistles to distract the enemy while receiving the first round of fire. <h3>D.S. & DURGA</h3> Like the preindustrial cottage industries of yore, <a href="http://dsanddurga.com/">D.S. & Durga</a> hand-crafts perfume and cologne in small batches. 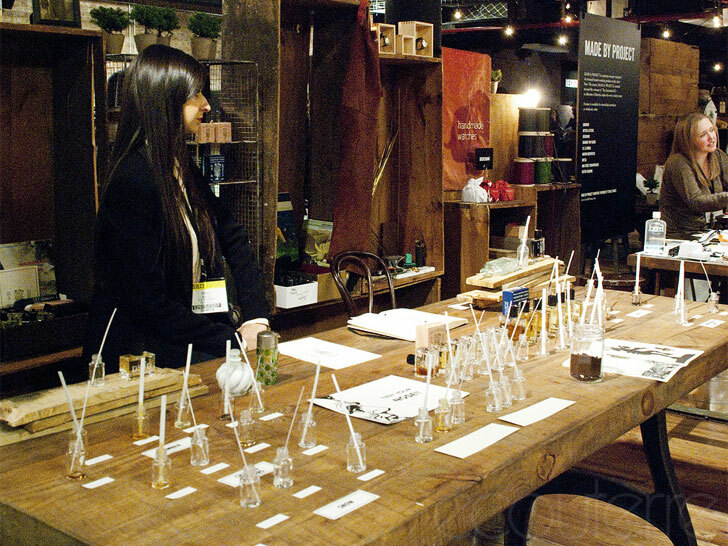 Drawing inspiration from herbal wisdom and native ritual medicine, the perfumer blends flowers, herbs, spices, oils, and plant extracts to create its feminine and masculine scents. 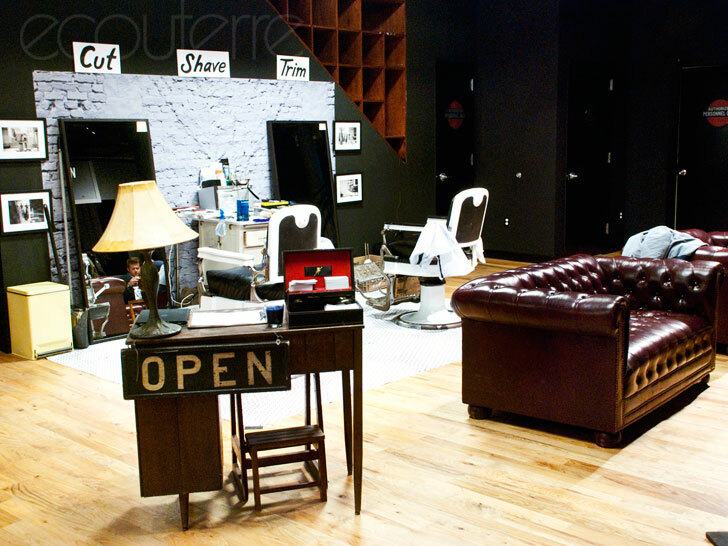 <h3>HOUSE OF 950</h3> Less than six months old, NYC's own <a href="http://www.houseof950.com/house/House_of_950.html">House of 950</a> offers a collection of modern, structural garments that can be worn in multiple ways. 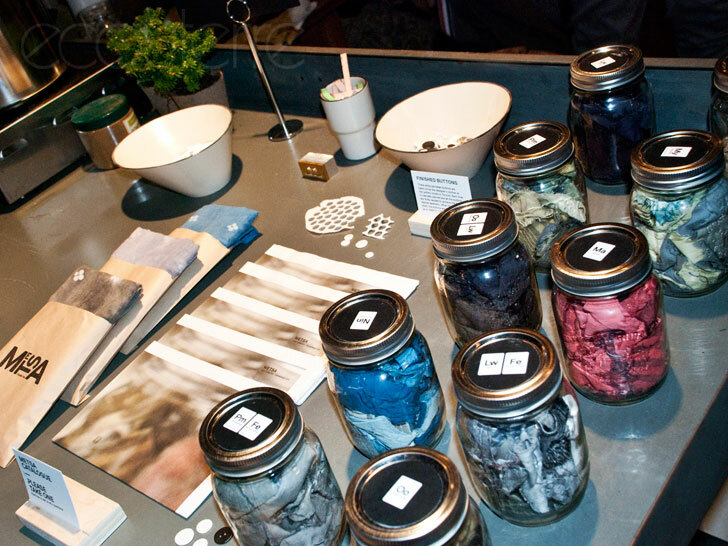 Its materials, which include organic cotton, soy, and hemp, are eclectic and varied but chosen with an eye towards sustainability. Already, several collaborative efforts have led to one-of-a-kind works of wearable art.